The IRS rehired hundreds of former staffers with conduct issues, even bringing ex-employees with tax issues back into the fold, a new federal audit has found. Treasury's inspector general for tax administration said that the IRS generally followed the federal guidelines, which take into account whether a potential employee has a criminal record or failed a drug test, when bringing back former staffers. 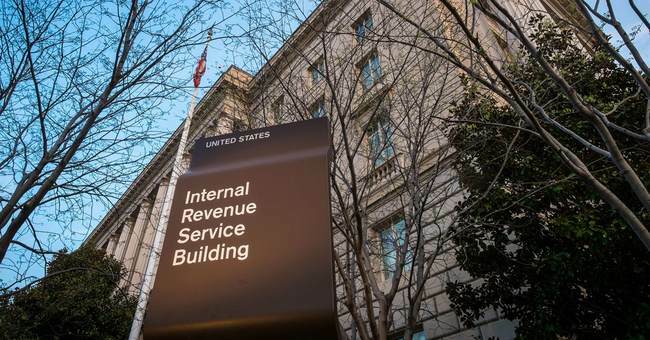 But other staffers rehired had documented conduct issues from previous tenures at the IRS, including purposefully not filing their taxes, wrongly authorizing taxpayer information and lying on official forms. Of those rehired, roughly one in five then went on to have further performance problems. Welp, I literally can't even. The IRS -- which annually rifles through people's lives in pursuit of nickels owed -- has re-hired (!) hundreds (!!) of employees who were fired for offenses such as lying, mishandling taxpayer data and...intentional tax evasion. Why they don't just finish the job and hire Al Sharpton as their director? Question: Does "wrongly authorizing taxpayer information" cover "abusively targeting conservative groups for years and 'losing' relevant evidence," or is that something different? By the way, the agency has been bellyaching lately about how under-funded they are, bemoaning Republican budget cuts, and warning that their customer service will even worse than usual this year -- especially with the Obamacare tax mess playing out. The IRS chief, smug stonewaller John Koskinen, gripes that his agency still relies on Kennedy-era technology, which begs an obvious question: What have they been doing with the billions in IT funding they spend every single year? Koskinen says they just upgrade ancient systems, which seems like rather poor stewardship. Other than that, I'm sure they spend taxpayer dollars wisely, right? Officials at the Internal Revenue Service spent a large amount of time trudging up to Capitol Hill in 2014 so that various Republican committee chairmen in the House of Representatives could berate them over the targeting of some conservative not for profits in the run-up to the 2012 election. It seems likely they’d have preferred to fly under lawmakers’ radar in the 114th Congress. If that’s what they wanted, spending more than $4.5 million to hire the same contractor that botched the rollout of the Healthcare.gov website in 2013 probably wasn’t the best move. Hiring CGI Federal to provide “critical functions” related to the further implementation of the Affordable Care Act was practically asking for a congressional investigation. "Obsequious" doesn't even cut it.